Enjoy the rich feel of micro-nylon while receiving the benefits of gentle compression wearing Shape To Fit Men's Micro-Nylon Dress Socks by Dr. Comfort. 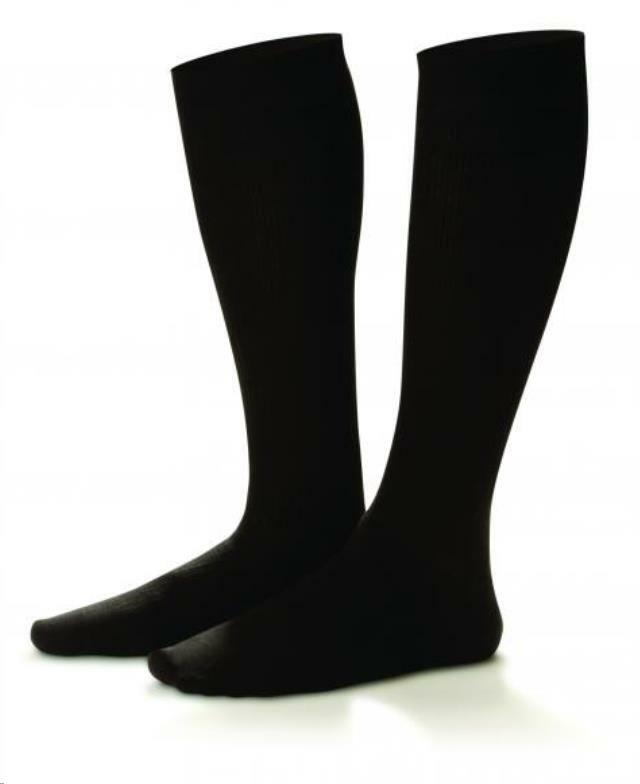 Moderate 10-15 mmHg compression supports tired and achy legs and reduces swelling at the leg and ankle. Diabetes, inadequate veins and varicose veins are common medical conditions that cause poor circulation and blood flow. Compression knee highs provide the support to improve leg health and reduce associated pain such as cramping, aching and fatigue. Shape To Fit is also part of the Comfort Collection by Dr. Comfort. The micro-nylon with Lycra material gives a rich softness to cradle feet and legs. It's also breathable material to allow the socks to be worn all day long. Shape to Fit Micro-Nylon Dress Socks feature Dr. Comfort's signature non-binding support band and its proprietary soft-seam construction to be extra mindful to swollen and delicate skin. The micro-nylon dress socks are perfect for dress, business and casual attire and are available in white, khaki navy and black. Dr. Comfort offers many stylish compression knee highs, you may be interested in Rejuva Argyle Compression Socks in 15-20 mmHg compression. * Please call us for any questions on our micro nylon black xlarge 15 20 serving Seattle and surrounding communities.